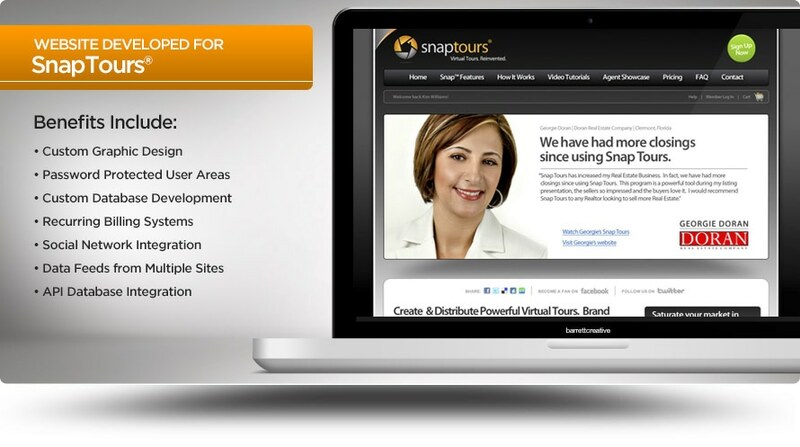 MySnapTours.com is an innovative real estate virtual tour creation and marketing system that allows real estate professionals to dominate their local market by using the included tools. Barrett Creative designed and developed the system from the ground up. As a web based marketing platform, the database development and detail are second to none.